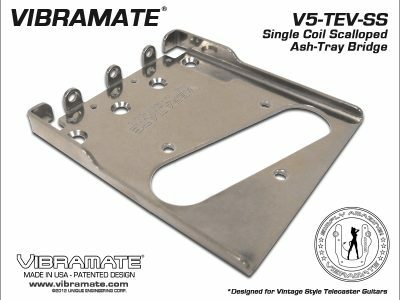 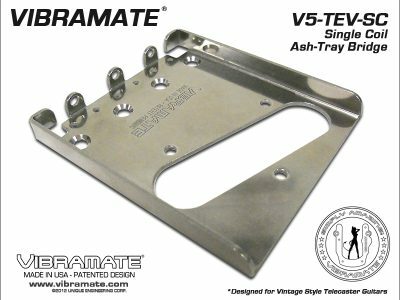 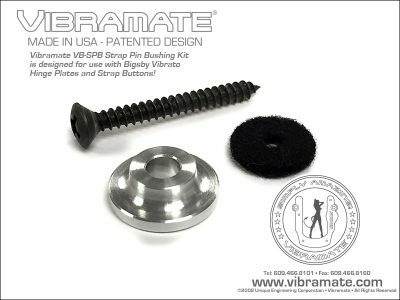 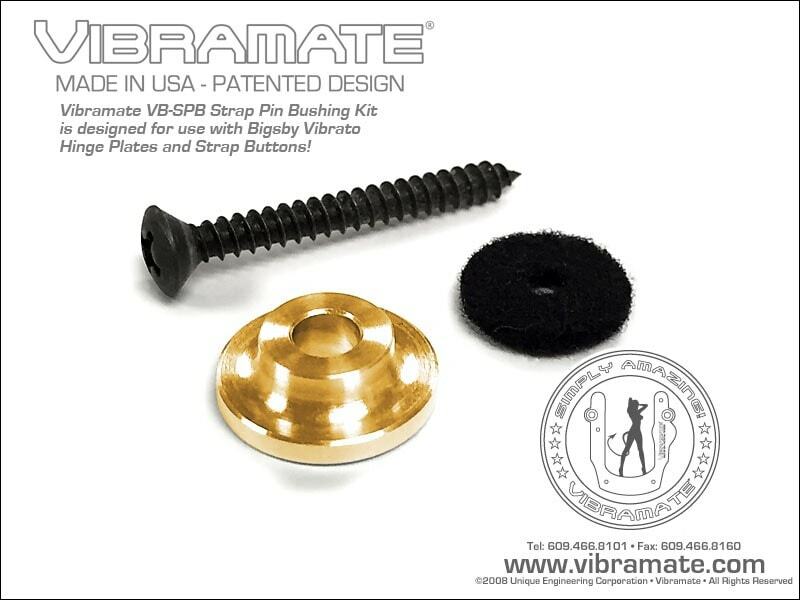 The Vibramate Strap Pin Bushing is designed and custom manufactured in the United States for use specifically with Bigsby “Original” B7 or B3 vibratos where a spacer is desired through the Bigsby Hinge Plate for use with your Strap Button or Strap-Lock. 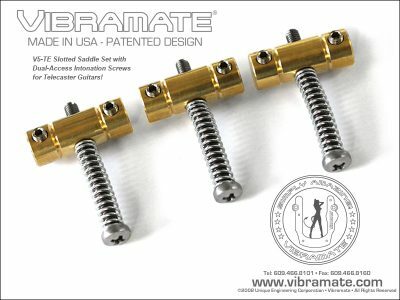 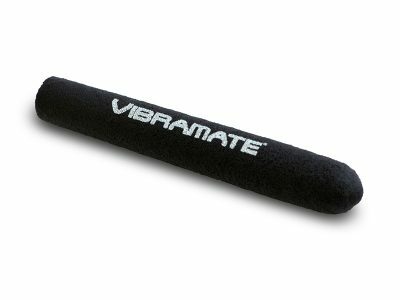 Custom machined from high quality aluminum the Vibramate Strap Pin Bushing is designed for both clearance through the Hinge Plate slot for your Strap Button as well as providing additional clamping pressure to the tail of the guitar. 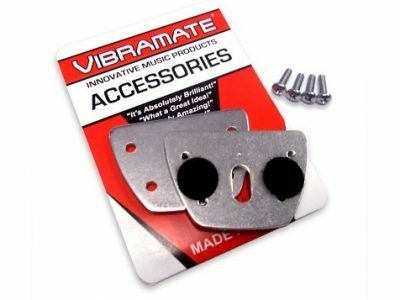 Use the Vibramate Strap Pin Bushing when you install a Bigsby vibrato and want the Strap Button to be extended outside the Hinge Plate or need a spacer because a standard Strap-Lock does not fit inside the slot of the Hinge Plate. 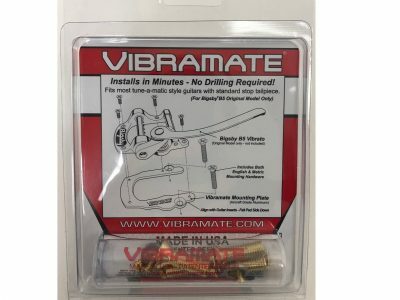 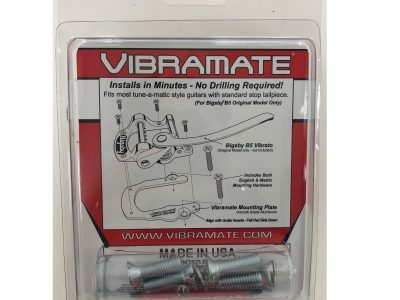 Use the Vibramate Strap Pin Bushing when you want increased clamping pressure or a means to secure the Bigsby vibrato at the Hinge Plate without drilling.